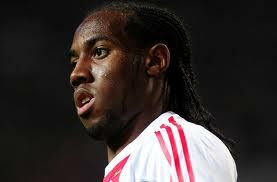 Newcastle United have finally completed the much anticipated signing of Dutch midfielder, Vurnon Anita. This transfer saga has been brought to a conclusion with the (now ex-) Ajax midfielder signing a five year deal. Earlier reports suggested that following yesterday’s medical that there were still one or tow things to sort out and what it means is that we now have essential cover both at left-back and in midfield. The 23 year old has already played over 130 times for Ajax as well as a handful of appearances for Holland. Anita was in the provisional Dutch squad for the Euros but didn’t make the final cut, no disgrace when you look at the players they have to pick from, though that wasn’t very evident in their ‘team performances. A very welcome addition and hopefully this will lead to at least a couple more. Newcastle United can today confirm the signing of Vurnon Anita from Ajax. The 23-year-old Dutch international midfielder, who can also play as a full-back, has put pen to paper on a five-year-deal at the Sports Direct Arena, and will wear the number eight shirt. Anita joined the renowned Ajax youth set-up in 1999 and progressed through the ranks at the Amsterdam Arena before making his debut in March 2006. His European debut arrived the following season and Anita went on to establish himself as a key member of Ajax’s squad, as they won back-to-back Eredivisie titles in 2010/11 and 2011/12. Born on the island of Curaçao, part of the Kingdom of the Netherlands in the Caribbean Sea, Anita has been capped three times for Holland since his international bow in May 2010. “We are delighted to secure the services of Vurnon,” said United manager Alan Pardew. “He is an exceptionally talented footballer with great technical ability, which is exactly what I’m looking at in a player. And, at 23-years-old, we hope his best years are at Newcastle. “He has come through the Ajax youth system which is world renowned for bringing up players the right way, and I am sure he will fit seamlessly into the squad of players we have here.